There's no other way to say it, except that the state of California has one year of water left. This alarming reality has already affected the way people eat, sleep, and breathe, but now it's even changing the way our clothes are made. As a result of the ongoing drought, denim retailers are cutting down water usage and exploring alternative, water-saving ways to manufacture clothing. Last month, Governor Jerry Brown ordered a 25 percent cut of the state's water use through mandatory reductions on hundreds of local water supply agencies. “People should realize we are in a new era," Brown said. “The idea of your nice little green lawn getting watered every day, those days are past.” That idea, meanwhile, extends out of California's front yards and into its agriculture, recreation, and yes, even fashion. According to reports, the manufacturing of denim consumes the most water out of any other textile, with almost 3 gallons used per pair. One of the industry's biggest brands Levi's launched its "Water<Less" campaign in 2011, which was designed to use 96 percent less water in the production of its well-known denim products. 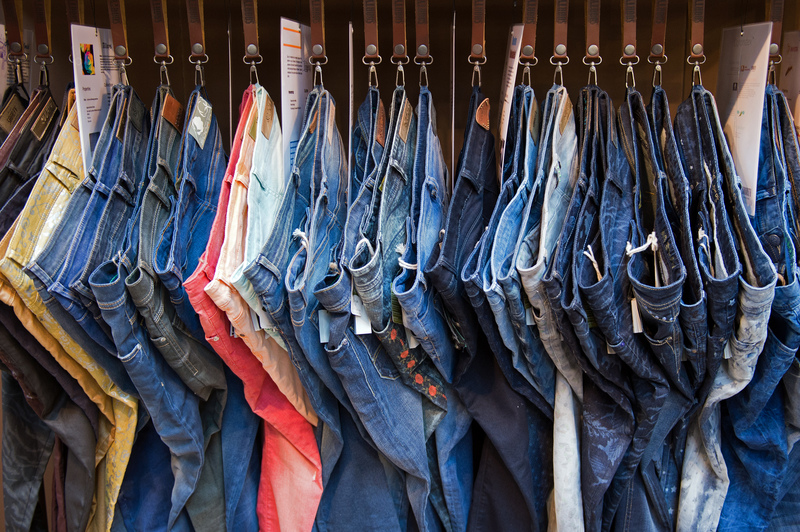 As a result, Levi's has saved 770 million liters of the precious liquid so far. Other California-based brands have followed suit, including Siwy Denim and Koral Los Angeles, by incorporating less steam-based finishing and producing non-water treated jeans. By using less water, these companies are also reportedly cutting their own production costs, so it sounds like a win for everyone. However, there is still a long way to go before California sees an end to its devastating drought, which means that consumers like us have to do our part in conserving water, even if it means washing clothes less often and supporting eco-friendly companies 365 days a year.